Emergency management, emergency rescue and disaster recovery are growing career fields. The demand for qualified, capable, and educated professionals with bachelor’s and master’s degrees in emergency management, disaster relief, homeland security, and public safety promises only to grow in the coming years. 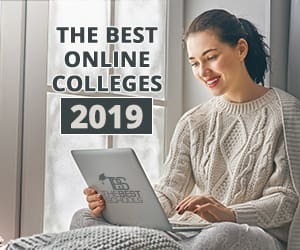 With online colleges offering increasingly accessible pathways to these degrees, the opportunity to build a career protecting and saving lives has never been greater. Whether you aspire to work for a private, non-profit, local, state or federal emergency management group, there are quite a few ways to make it happen. Well, frankly, it’s because of some pretty grim stuff. But stick with me. There’s good news coming. Global climate change is a real thing, and the results are both a significant increase in the number of natural disasters occurring and a near certainty that this increase will only continue to mount in the future. Global tensions have contributed to an increase in so-called soft-target terror attacks. The rise in active shooter situations in the United States is epidemic in nature. Add to these dangers a decaying civil infrastructure, the risk of pandemic health events, our vulnerability to cyber-attack, the increasing occurrence of ecological disasters, and a host of other terrifying things that keep people awake at night. In other words, if you’re looking to pitch in on the emergency management front, we could use your help. If you’re looking for a way to help right now and in the future, emergency management and public safety are essential fields. And with each passing year, the demand for leaders and qualified professionals promises only to grow. If you’d like to learn more about the degrees, careers, opportunities and responsibilities surrounding emergency management, read on. Ronald Wakeham is the Department Chair of Security and Emergency Services at Embry-Riddle Aeronautical University. From 1996 to 2016, he was a course developer and contract faculty member for the Department of Homeland Security. Ronald also serves as a Haz-Mat consultant and instructor for The Seminole Tribe of Florida, Emergency Services Department. The single greatest threat that we face as a nation, and as a species, is global climate change. This is the most observable, predictable and empirically proven cause for the increasing frequency and severity of natural disasters, which makes it among the most pressing concerns for emergency management professionals — if not the topmost concern. According to these qualifications, the number of worldwide natural disasters has more than quadrupled since 1970, with roughly 400 such events every year. Less widespread but nonetheless fatal weather and climate-related events have also been on the increase, with more than six times the number of hydrological events today than in 1980. 2017 marked the highest number of such events ever seen. There is a strong consensus within the scientific community that this is the consequence of climate change produced by human behavior. While the outlook for our planet and our way of life is alarming — to state things mildly — there is a glimmer of good news here. We’ve actually gotten better at mitigating the impacts of natural disasters. While we see more of these catastrophes every year, the toll of human casualties caused by such events has actually decreased. According to The Economist, in 1970, an estimated 200,000 people were killed by natural disasters. The International Federation of Red Cross and Red Crescent Societies (IFRC) reports that while the number of casualties during the last decade has varied dramatically (with a high of 297,728 deaths in 2010 and a low of 22,452 disaster-related deaths in 2014), the average for the decade ending in 2014 was just under 100,000 deaths per year. The Economist credits the reduced casualties to improved building strategies, better flood prevention schemes, and other evolving safety measures. This is where the professionals who work in the field of emergency management come in. According to The Economist, the immediate future portends more frequent and more severe natural events. This will create a greater need for preparation and planning from urban planners and others who manage civil infrastructure. This suggests that the demand for individuals in all aspects of disaster relief and emergency management will only grow in the coming years. What Can I do with a Degree in Disaster Management? The Bureau of Labor Statistics projects that the field is likely to grow by 8% through 2026. However, the somewhat unpredictable rate of increase in natural disasters suggests that the rate of growth could be faster and greater than projected. Indeed, in its report on Careers in Disaster Relief, the BLS points out that between 1990 and 2017, the size of the disaster relief labor force more than doubled from 66,800 professionals to more than 168,000. There are numerous pathways into the field of disaster management, including local law enforcement groups, first responders, federal agencies, and a host of state and local groups and organizations with a stake in preparation for, management of, and recovery from disasters and emergencies. In addition to natural disasters, a career in disaster management may mean providing support in the event of terror attacks, live shooter situations, technical disasters, and even cyber attacks. With a minimum of a bachelor’s degree in a related field, you could qualify as an Emergency Management Director. In 2017, the Median Pay for this position was $72,760 per year, or roughly $34.98 per hour. In this role, you would oversee planning and the development of procedures for responding to natural disasters and emergencies. You would also lead efforts in real time, including response, recovery and the high level of coordination with public officials, agencies, and organizations that goes into these processes. The title of Emergency Management Director could qualify you to work in a number of settings, including for non-profit disaster relief groups, private companies specializing in recovery contracts, or any number of local, state, or federal agencies. For instance, according to the BLS, Among the federal agencies involved in coordinating disaster relief services are the Federal Emergency Management Agency (FEMA) and the U.S. Army Corps of Engineers. According to the U.S. Office of Personnel Management, those agencies employed 34,070 and 17,730 workers, respectively, in 2017. Other leadership titles can including Emergency Management Specialist, Floodplain Management Specialist, or Technological Hazards Program Specialist. There are numerous dimensions to emergency management. Indeed, one of the most essential elements of effective disaster preparation, management, and relief is coordination. A wide range of medical professionals, public safety officials, non-profit groups, private companies, citizens, and government agencies must all have a stake in carrying out large-scale plans such as evacuations, rescue operations, infrastructural restoration, or massive clean-up efforts. There are various other career paths that can allow you to support disaster management efforts. In fact, there are many coordination and support roles that are equally critical to disaster and emergency management. The various offices and agencies that make up the Department of Homeland Security (DHS) also offer numerous pathways to support preparation, coordination, response, and relief in the face of natural disasters, terror attacks and other public safety crises. Particular among these is the Federal Emergency Management Agency (FEMA), which became a part of the DHS upon its inception in 2002. One of the following degrees could qualify you to work for FEMA or another correlated agency in the Department of Homeland Security. One of these degrees could also qualify you for a role in the Office of Emergency Management, which is part of the Department of the Interior. Another way to enter the field may be through the military. The various branches of the U.S. military offer their own pathways into coordinating emergency management, disaster relief, and recovery. You may be able to both train for, and receive a college education in, the various facets of emergency management and coordination, either as a member of the U.S. Armed forces or as a Member of the National Guard. The military does offer another path if you’re interested in emergency management. The U.S. Army Corps of Engineers is an agency comprised largely of civilians who, according to the Corps, make a direct contribution to war fighters and their families, supporting overseas contingency operations, developing technology and systems that save the lives of soldiers and civilians, providing disaster relief, and protecting and enhancing the environment and the national economy. You can also visit the Army Corps of Engineers recruitment page to learn more. To check out other support resources and links for military service members, national guard, and veterans, visit our Military Education Headquarters. Other ways to provide support in an emergency or disaster situation may include a career as a Haz-Mat Manager, Public Health Officer, Hospital Emergency Preparedness Administrator, Civil Engineer, Public Information Communications Officer, Fire Inspector/Investigator, and a host of other critical civil, infrastructural, and safety positions. We admit, emergency management and disaster relief are pretty heavy topics. Many of the degree programs outlined above are rigorous by necessity. Real-world emergency management is a high-pressure scenario. It requires great organization, flexibility, coordination, compassion, and working knowledge. Lives are at stake which means your work is incredibly important.